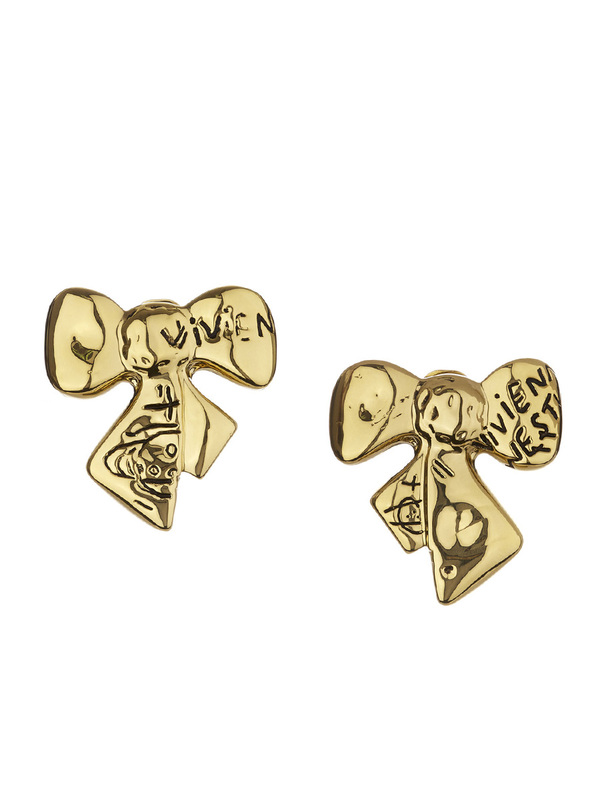 Vivienne Westwood Arabella Bow Clip Earrings. Defined by its classic 18th century bow, the Arabella Bow Earrings are detailed with a carved stone inspired ‰Û÷hand engraved irregular Westwood branding. Finished with an antique look to the surface, enhanced by the rich gold plated brass.